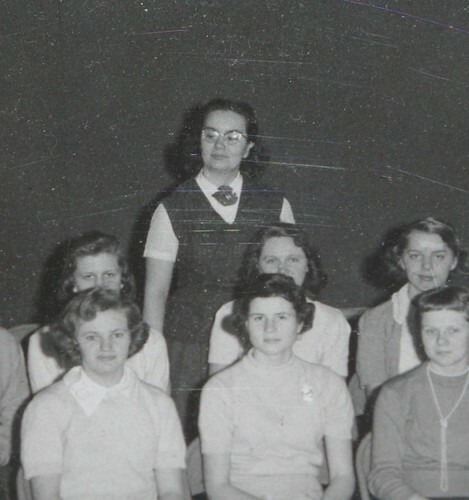 Something happened between my birth in June 1959 and the early months of 1960. The bloom was definitely off the rose and by the spring of that year my mother was back at home, living with her parents, with little baby me! and my little sister in utero. Many times during my life, mom told the story of how we traveled to Michigan from New Mexico on an airplane and that I could not keep my hands out of the mashed potatoes! Considering that I wasn't even a year old yet, I guess that isn't surprising. 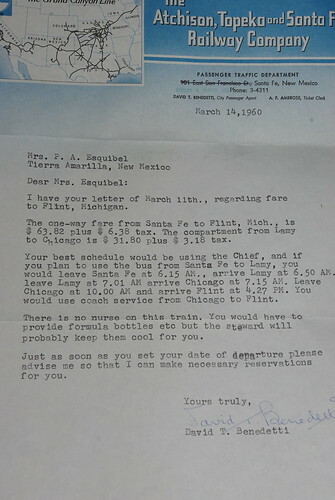 I have your letter of March 11th., regarding fare to Flint, Michigan. The one-way fare from Santa Fe to Flint, Mich., is $63.82 plus $6.38 tax. The compartment from Lamy to Chicago is $31.80 plus $3.18 tax. Your best schedule would be using the Chief, and if you plan to use the bus from Santa Fe to Lamy, you would leave Santa Fe at 6:15 AM., arrive Lamy at 6:50 AM., leave Lamy at 7:01 AM arrive Chicago at 7:15 AM. Leave Chicago at 10: AM and arrive Flint at 4:27 PM. You would use coach service from Chicago to Flint. There is no nurse on this train. You would ahve to provide formula bottles etc., but the steward will probably keep them cool for you. Just as soon as you set your date of departure, please advise me so that I can make necessary reservations for you. I guess that seemed daunting even to my mom! And that's how we ended up on the plane. 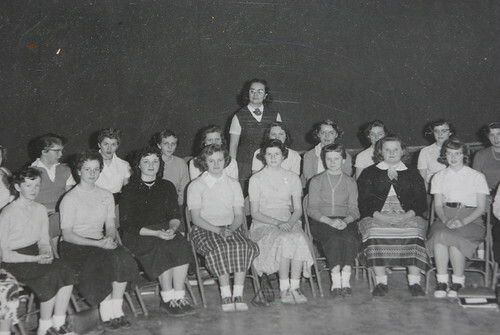 On a happier note, this is a picture of my mom, fresh out of college, teaching one of her first classes. She looks so smart and young!